Property 1: NEAR STREETCAR LINE! NEW LOCATION!! BOOK NOW! 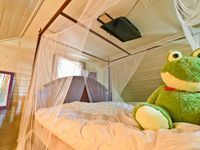 5 minutes from FRENCH QUARTER! Property 2: Charming Creole Caribbean in Mid City! 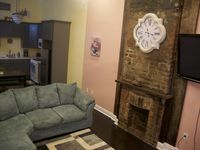 Property 8: Uptown Cottage 2/2 - Steps to St. Charles Ave.
Property 9: Irish Channel Home Only 10 Mins to French Quarter! Property 16: 1839 Victorian Private Large Room Sleeps two Garden District. Property 22: The oldest historical creole Cottage of the Marigny, shabby-chic decor. Property 24: Whole House- One Block To Frenchmen Street - With Courtyard! This is it!! A great place for a group get-together! Property 28: This is it!! A great place for a group get-together! Elegant Lower Garden District Home. Ideal location, with Gated Parking. Property 31: Elegant Lower Garden District Home. Ideal location, with Gated Parking. Property 37: Walk everywhere in the FQ! Classic New Orleans home centrally located minutes to anywhere in the city! Property 38: Classic New Orleans home centrally located minutes to anywhere in the city! Property 47: 3 blks to Frenchman- 6 blocks to French Quarter. Reserved Parking! Property 48: Whole House -1 Block to Frenchman St. -With Courtyard! Andrew was busy remodeling his house next door, but still made time to attend to everything we needed, including making our morning coffee and offering a ride to dinner when Uber was not available.